State Beer Cap Maps! All 50 states available! 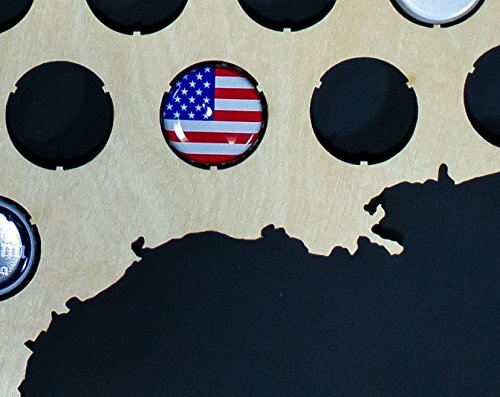 Choose your favorite state and fill it with your favorite beer caps! Looking for an amazing Valentine's Day gift idea for the craft beer lover? 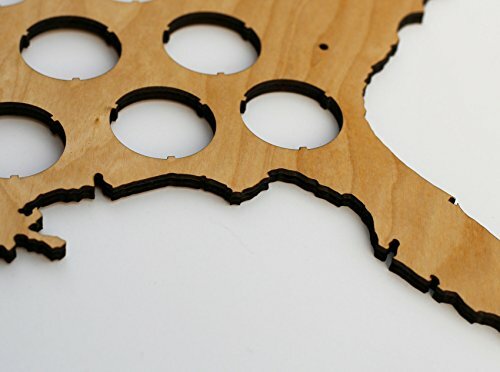 Use this beautiful state beer cap map to collect the bottle caps from your favorite breweries and snap them into this high quality wooden map. 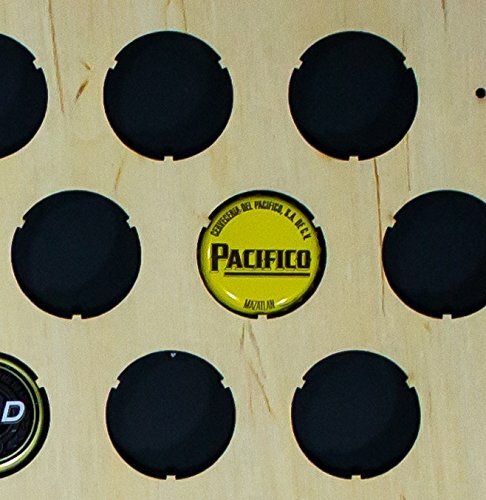 The three point retention system securely holds standard size (twist and pop-off) beer caps in style. Mount it on your wall with the included nails that fit into several pre-drilled mounting holes. These maps are crafted out of high quality 1/4" maple wood, have a semi-glossy smooth UV-resistant finish already applied, and will look great against any background. Our Beer Cap Maps are the ultimate gift for the beer connoisseur in your life. The maps also make phenomenal groomsmen gifts for all your beer-drinking friends. Hang this highly detailed map above your bar, in your garage, man cave, kitchen, or brewery. It's a great way to show off the places you've been, the local brews you love, or just your favorite color caps. No matter how the beer was, we promise you'll love this map. Here at Skyline Workshop, we're proud to make the most detailed and highest quality beer cap maps on the market today, and we back that with a 100% satisfaction guarantee. If you don't see your favorite state listed, just wait a few days. It is probably temporarily out of stock but will be replenished soon! 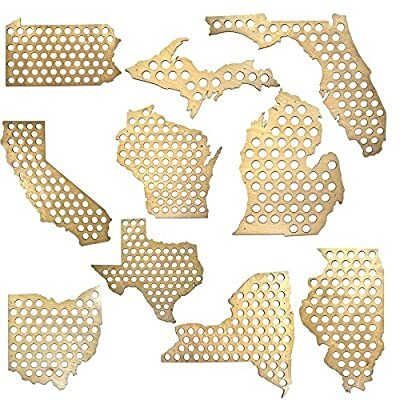 Each state holds approximately 60-80 beer caps and has the most accurate and detailed coastlines and borders you will find anywhere. If you're not satisfied for any reason, contact us and we'll make it right as quickly as possible. From the lumberyard where we source our raw material to the final steps of packaging up your new map, we do our best to maintain excellence at every step of the process. We hope you'll choose Skyline Workshop because you know you'll get the best. 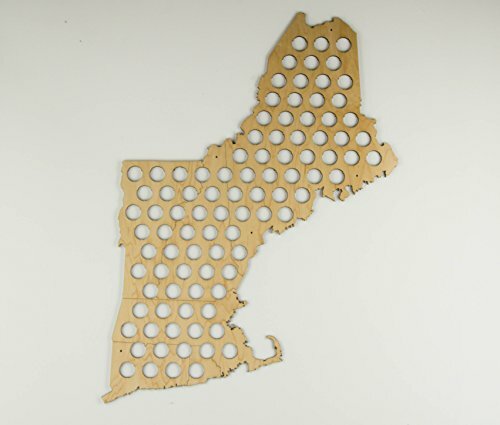 Holds lots of beer bottle caps that EASILY SNAP IN from the back All 50 states available, PLUS New England, for those that love their region even more than they love their state. Holds all types of beer caps from import, domestic, and craft beer bottles. Also holds twistoffs! 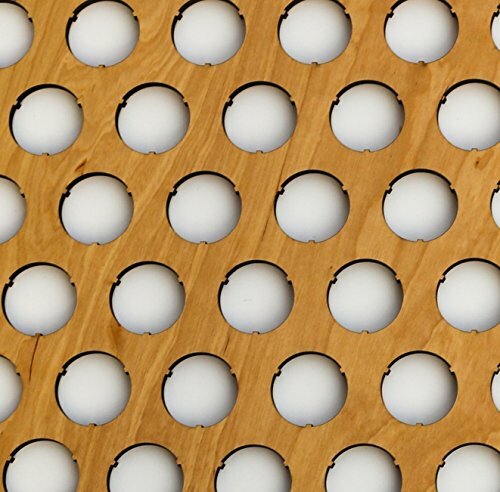 UV Resistant Glossy Maple Finish - Beautiful and durable MOUNTING NAILS INCLUDED FREE to easily mount your map on the wall in the predrilled holes. You can easily remove it from the wall, add more caps, and place it back on the headless nails.